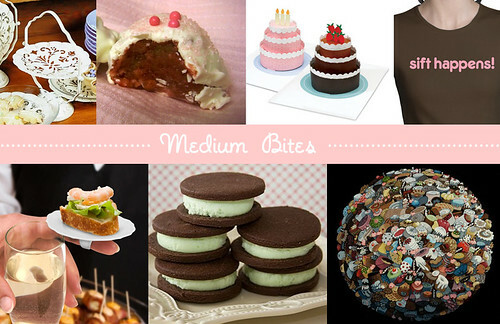 Sweet Stuff: Cakespy's Gift Guide! 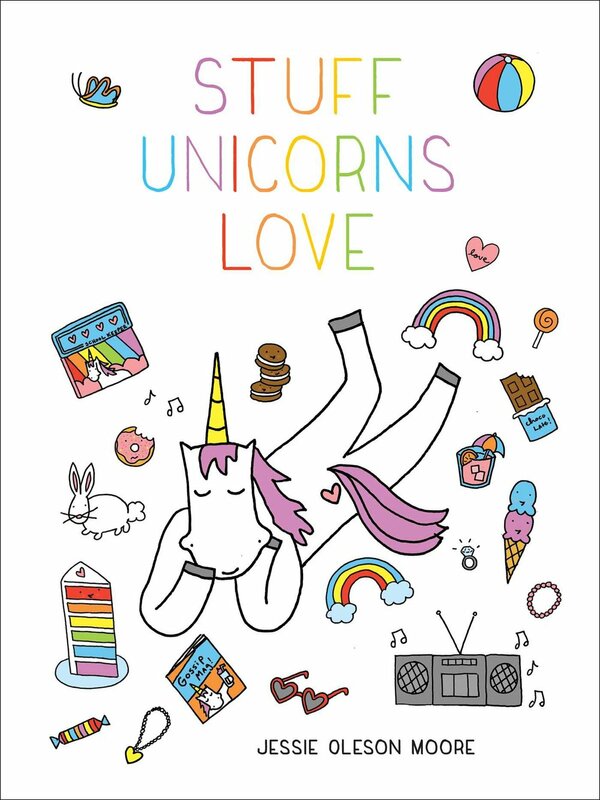 What oh what to get for the sweet-lover who has everything? Here are some of our best bets, in all price ranges! Small bites: Looking for presents in the $10 and under range? 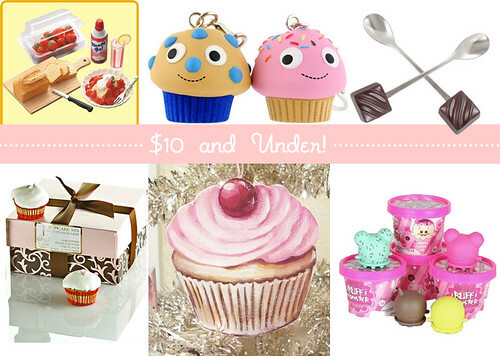 Here are our faves: (clockwise, starting top left) Micro Mini Sweets, $6 at Fred Flare; Yummy breakfast key chains $10 at Fred Flare; Coffee spoon with truffle handle, $8 at Pylones; (For the pet lover) Dog-friendly "cupcake" -- er, pupcake? mix, $9.99 at Petitfourlegs.com; Vintage Cupcake ornament, $9.50 atJennysbakeshop.etsy.com. Buff Monster Ice Cream figurines, $7.95 at Kidrobot. Medium Bites: If it's a bit more serious than a stocking stuffer, you might want to shell out a few more bucks. Here's where we suggest you do it (clockwise, starting top left): Ivory Dessert-server, $19.99 at Heliotrope Home; Cake bites, $15 at The Sweet Tooth Fairy; Sabuda Pop-Up Cakes Note Cards, $21.95 at MoMAstore; Sift Happens tee, $18 at Bakelove Bakewear; Finger-food plates (perfect for a small cupcake! ), $12.50 at Fireworks; Mint Chocolate Cookie Sandwich Gift Box, $32 at Teacake Bakeshop; Globe of Sweets Print, $15 at Justin Richel's Etsy Shop. Big Bites: Economy or not, baby's gotta get a sweet present. 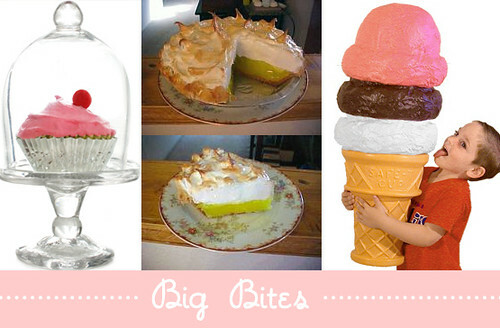 Here's what we covet (from top left, clockwise): Individual cupcake stand, $60 at Fred Flare; a Fake Lemon Meringue pie with which to mess with people, $60 for pie and slice at Leelee's Creations (or, if you're as smitten with fake food as we are, why not commission a custom replica of your resident baker's signature treat, at fake-foods.com?) a ginormous triple-scoop cone decoration, $47.77 at Great Big Stuff; also, for a home baker considering the jump to opening their own bakery, why not check out Vocation Vacations--live the life of a baker, cupcake maker, or chocolatier for a few days, spending time with an expert "mentor" and learning the trade--starting at $950 and up. Pricey, but hey, can you say tax deduction?